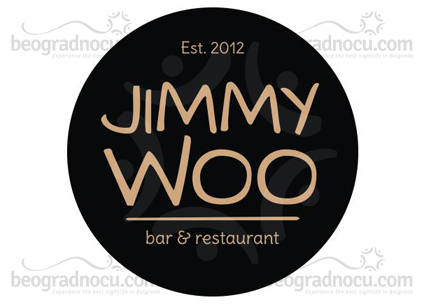 Jimmy Woo Bar is located at No 47 Strahinjića Bana Street and is definitely a place that will love all fans of urban night life. Interesting thing about this bar is that it's named after Chinese American comic strip hero, who is match for James Bond. This is lounge bar that has enriched gastronomic offer in capital only by its appearance. Jimmy Woo Bar is opened from 9 am until midnight and on weekends until 1 am. This bar can accommodate 250 people, that besides perfect interior is based on remarkable design and surprise its with amazing menu and fantastic music. Guests with different affinities will experience ultimate pleasure precisely in this bar. Specialties of Japanese, international and Asian fusion cuisine are most delicious and perfect, so you will feel special as you enjoy in them. On menu, among other things, you can find sushi rolls, steaks, noodles, but as well delicious burgers and pastas. Jimmy Woo Bar is offering wide selection of Italian, Spanish and French wines, scotchs, bourbons, champagnes, cocktails, as well as various soft drinks. Cafe consists of two parts that fits perfectly thanks to modern and beautiful interior, designed so it gives you exceptional feeling you will not want to leave. During a day in this bar you can listen to lounge music, but from Wednesday until Saturday in evening hours you can enjoy in electro sound and new space disco. You will have an opportunity to enjoy amazing Dj sets, that will make your stay in Jimmy Woo Bar unforgettable. This place is made for enjoyment, relaxation and night entertainment that will enrich your daily rhythm. You can scan menu via your smartphone and download mobile application that consists information about current events, promotions, menu and photo gallery. So hurry up and experience one of most beautiful and popular bars in Belgrade and it will change your life.